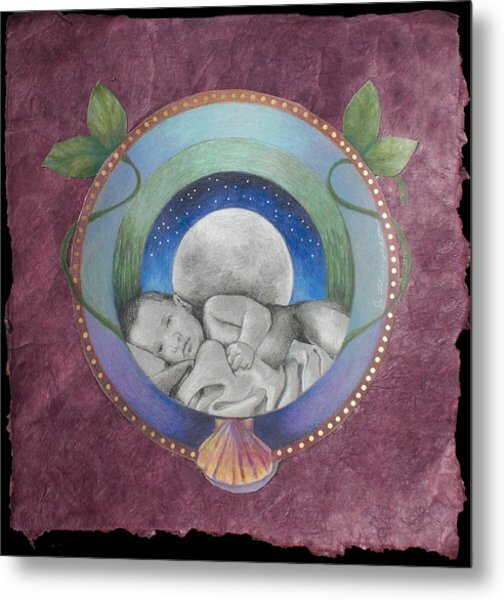 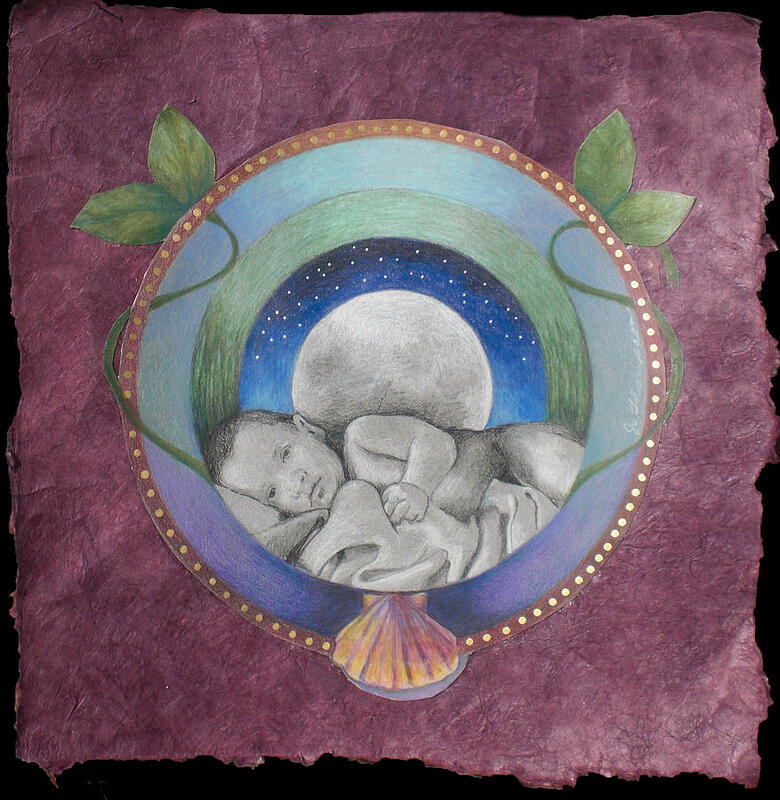 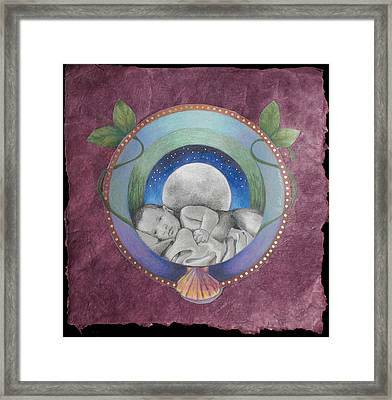 Moon Baby Mandala is a mixed media by Jo Thompson which was uploaded on October 7th, 2010. 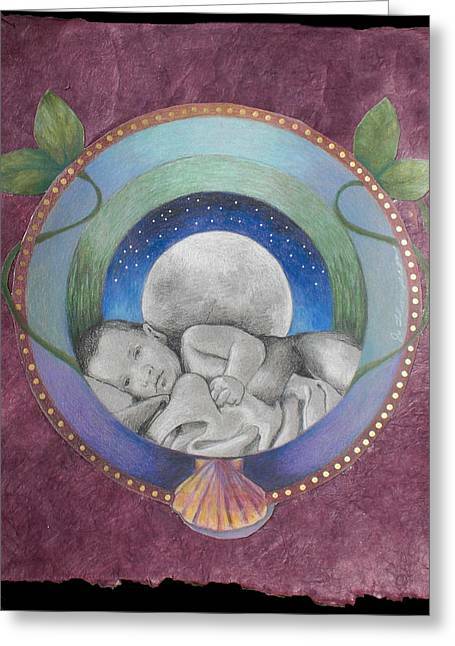 This mandala depicts a serene, resting baby underneath a glowing moon in a starry sky. One ring shows sky, the shell represents the sea, and another circle is the earth with grasses and leaves. It is collaged onto a beautiful purple handmade paper. There are no comments for Moon Baby Mandala. Click here to post the first comment.